Yering Station is well-known for producing some of Australia's finest examples of Pinot Noir and their 'Village' example has become a 'go-to' wine for many Pinot drinkers. 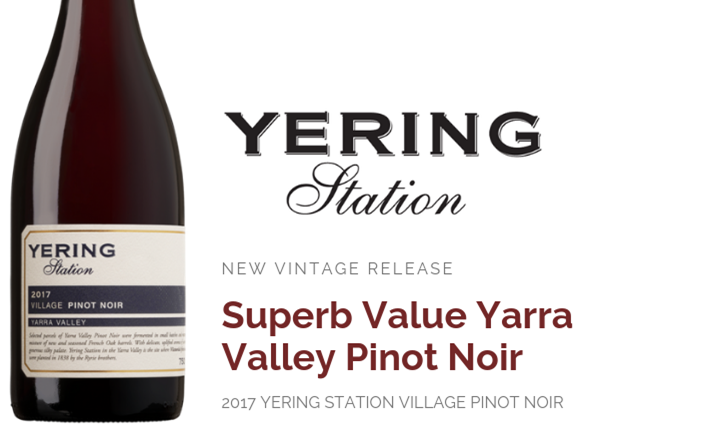 This month saw the release of the 2017 vintage of Yering Station's Village Pinot Noir; another super impressive example that is sure to again be hugely popular. Available today at the special price of $19.90 a bottle, you'd struggle to find a better value Australian Pinot Noir. Also featured in this edition is the very limited and highly sought-after 2016 Moss Wood Ribbon Vale Merlot; a wine that James Halliday rated a rare 98 points and declared it "the best Australian merlot I've tasted". Stocks of this wine are extremely limited and we expect this to sell-out quickly. Yering Station is widely recognised as one of Australia's leading Pinot Noir makers and their Village offering has established a strong reputation for delivering high quality drinking at a fantastic value price. Following in the footsteps of hugely popular recent vintages of this wine, the 2017 Yering Station Village Pinot Noir is another impressive drink-now proposition. Bursting with plenty of regional and varietal personality, this is a lovely approachable Yarra Valley Pinot Noir with bright strawberry, soft cherry fruit flavours, and soft subtle tannin providing some complexity on the finish. For those seeking high quality Pinot drinking at a very reasonable price, it's hard to look past this offering from Yering Station. "It’s only a minor step up the ladder but this sees 15% new oak and no doubt better grade grapes. Little Yering is good value and worth buying but this is worth every cent extra. This is very good. In a word: reach. It has above-average flow and flavour, it feels seamless from start to finish, it has just the right amount of both depth and complexity and it pushes on through the finish. Buy. Rated: 92 Points Tasted: Mar19 Alcohol: 13% Price: $24 Closure: Screwcap Drink: 2019 - 2023+"- Campbell Mattinson, The Wine Front. "98 Points. Vibrant crimson-purple; if you are searching for a merlot that has bell-clear varietal character and is a joy to drink, go no further: this is it. It is sheer perfection, its red fruits dripping from a trellis line of fine tannins and controlled French oak. The best Australian merlot I've tasted. Alcohol: 13.5% Drink By: 2030. Screwcap"- James Halliday, winecompanion.com.au. Located in the Nagambie Lakes region of central Victoria and with a history dating back to the 1860's, Tahbilk has long been considered one of Australia's most historic family owned wineries. A winner of 'Best Rosé Of Show' at the 2018 Royal Queensland Wine Show, this is crafted from a blend of 60% Grenache and 40% Mourvèdre to deliver a beautifully fresh, mouth-wateringly dry Rosé. Bright and appealing red berry fruits sit alongside complex savoury notes in a delicious local example of this popular style. 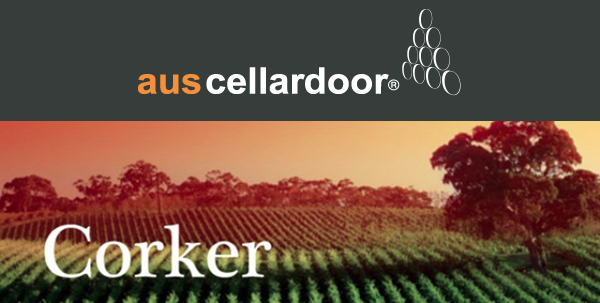 Long regarded as one of Australia's finest Cabernet makers, Majella consistently delivers a top line example of Coonawarra Cabernet Sauvignon. The 2015 Majella Cabernet Sauvignon is again in fine form; rich and juicy with plum, blackberry fruits and fruitcake-like flavours all on offer on this complex palate. As ever the finish is long with subtle, soft grainy tannins contributing to the impeccable structure that should see it cellar for many years to come. "96 Points. This hits the bullseye, a great example of the synergy between place and variety. Its colour is good, as it the bouquet, and that arrow arrives the moment the wine enters the mouth. It has waves of luscious, juicy red and black fruits that fill every corner of the palate, tannins and oak doing the job expected of them. Screwcap. 14.5% alc. To 2040. $35"- James Halliday, Halliday Wine Companion 2019. The team at Turkey Flat believe Grenache is particularly well suited to the Barossa climate due to its ability to withstand extremes of heat, aridity and wind. Made predominantly from grapes grown on Turkey Flat's 98-year-old vineyard, Turkey Flat always deliver a fantastically concentrated and impeccably structured example of Barossa Grenache. The 2016 Turkey Flat Grenache was a worthy recent recipient of the 2017 Jimmy Watson Trophy at the Royal Melbourne Wine Show; an amazing result that highlights the quality and value for money currently available in Australian Grenache. The 2017 vintage is another top line local example delivering incredible power, depth and balance. "96 Points. Predominantly sourced from vines over 100yo on the estate vineyard adjacent to the winery. Deep colour; the flavours of red cherry, raspberry and a dash of plum come coursing through on the long ride of superfine tannins to the finish. The same source and style as Turkey Flat's Jimmy Watson winner. Price: $40.00 Date when Tasted: 10 Sep 2018 Alcohol: 14 % Drink By: 2027 Screwcap"- James Halliday, Top 100 Wines 2018. "If you enjoyed your red wines with bright, juicy, jubey fruit then this new release from Barossa Valley producer Turkey Flat will be right up your funky laneway. Grenache thrives in the Barossa but in recent times it has been used more for fortified wines than table wines. This is made largely from vines that are close to 100 years old, providing fruit intensity and plushness in the mouth, aided by toasty oak. Pair this dark, down and dirty red with a traditional roast lamb. "- Winsor Dobbin, www.winsordobbin.com.au.